Un extrait du concert au Larocafé ! 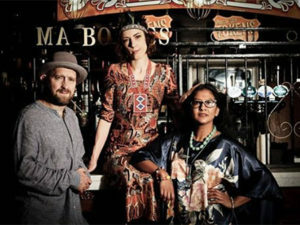 Amanda Brown & The Common Ears formed at the end of 2015, and November 2016 saw them release their critically acclaimed debut EP – “Medicinal Biscuit”. 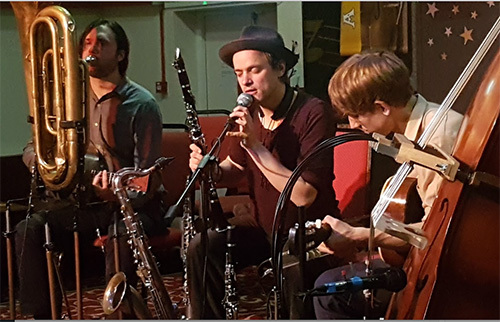 Amanda, a long time purveyor of vintage Jazz and Blues in Liverpool, brought together musicians from Liverpool’s vibrant and eclectic music scene, to create a sound mixing her 1920s and 1930s roots with Punk, Bluegrass, Rock and Bebop. Amanda’s charming band will be a winner at Fest Jazz this year. 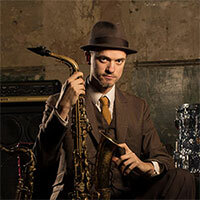 Ewan Bleach is a clarinettist, saxophonist, pianist and singer specialising in 1920s and 1930s jazz and blues. One of the most respected and popular New Orleans style musicians, he regularly visits The Big Easy for inspiration and has played many times with the renowned New Orleans street band, Tuba Skinny. He currently works as a clarinettist with several London jazz bands including “The Basin Street Brawlers” and “The Old Hat Jazz Band”. 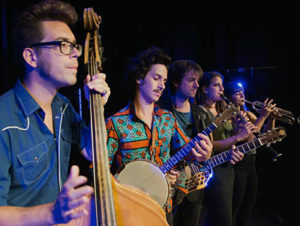 At Fest Jazz 2018 he will again be teaming up with “Frog and Henry”, the New Orleans collective who were such a hit at the festival last year. Frog & Henry in Morecambe, UK, courtesy of Norm 888. A Special Message from Jazz&Jazz for Trevor Stent, Angelina Beauvir, Margot Flamery, Mélanie Jouet and the entire Fest Jazz Team with thanks for such organising such a magnificent festival year after year. More features will follow over the next week introducing more of the brilliant bands and musicians starring at Fest Jazz 2018. Meantime meet the 2018 Fest Jazz Team. Tar Ar Pont is up close and very personal, just as a great little jazz club should be. Looking forward to it. Created the credit to Norm 888! See you there! May I echo Peter’s special message to Trevor and his wonderful young team – truly a great festival enjoyed by artists as much as by fans. Great range of artists performing with evident joy at being there, including the headline act, ‘the Shake em Up’ jazz band, who made it clear they would like to be back next year (with audience in total aggreement). 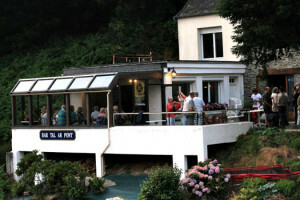 The Tal ar Pont venue was very different to the other four ‘scenes’, and the intimate nature of the venue has a downside for those unable to get inside, but quite wonderful fo those lucky ones seated up close to the band. I experienced both! YouTubes filmed at Fest Jazz are currently being produced and will be featured here on Jazz&Jazz.